Juventus and Napoli are neck and neck with neither team backing down. The latter are finally looking strong enough to go all the way in the hope of ending the Old Lady’s supreme title-run. 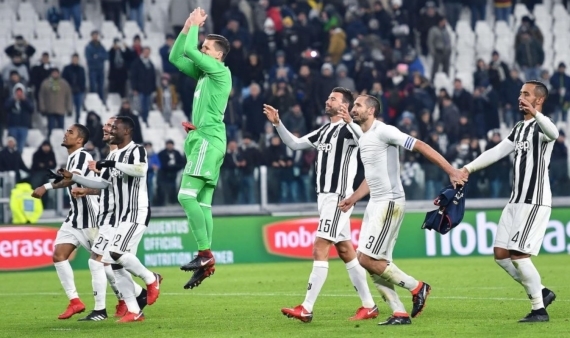 With 17 rounds of Serie A action to go, it’s anyone’s guess as to who will raise the all-important Scudetto come gameweek 38. But that’s still a while from now so let’s get back to the present with eight clashes taking place on matchday 22. Sassuolo and Atalanta will square off in the opening Serie A match of the weekend. The hosts are winless in their last three matches and have been dismal on their ground with just two wins from 10 games. Atalanta suffered a 1-0 defeat to Napoli last weekend but have been excellent on the road with three consecutive wins. Back the away team to come away with maximum points. Chievo are without a victory in their last seven matches with five defeats and two draws. Juventus trail log-leaders Napoli by just one point but are in top form with five straight wins and will need to maintain that form. The Old Lady have won the last four meetings between the sides, scoring 11 goals and conceding just once. Juve are tipped on the Half-Time/Full-Time Double Chance at 9/10. SPAL 2013 find themselves placed 18th on the standings without a win in their last four matches. Inter Milan are winless in their last six games but are coming off a hard-fought 1-1 draw at the San Siro Stadium against Roma. It won’t be cut and dry but the Nerazzurri claimed a routine 2-0 victory in the reverse fixture and are tipped to pull the double over the relegation-candidates. Take Inter Milan to win. Genoa’s four-match unbeaten streak came to an end last weekend with a 1-0 defeat at reigning champions Juventus. Nonetheless, they put in a good shift against the Old Lady and will be looking for a similar but better performance when they return to home soil this weekend. Udinese are unbeaten in their last six matches at the time of writing but have played to back-to-back 1-1 draws. Genoa have won two games on the bounce at home and are tipped to capitalize on home advantage. Torino are unbeaten in their last four matches but drawing three times in the process. Benevento are at the foot of the table with 10 losses from 10 travels, scoring three times and conceding 22 goals. With those stats in mind, Torino should be backed on the (-1) Handicap at 23/20! Get on! Napoli return to their fortress on Sunday afternoon to take on mid-table Bologna. The Azzurri have been brilliant with five wins on the trot, scoring 10 goals and conceding three times. They have also won nine of their 11 home games this season and are heavy favourites to add to that tally. Bologna’s poor streak of back-to-back defeats came to an end last time out with a 3-0 home win over relegation-bound Benevento. However, they have lost four of their last six travels and that doesn’t look likely to improve here. Napoli are tipped on the Half-Time/Full-Time Double Chance at 11/20. Crotone were impressive last time out, annihilating Hellas Verona 3-0 away from home, ending a run of three consecutive losses. Cagliari have been terrible with four losses from their last five games. The home side have scored just seven goals in 10 games on their ground, while Cagliari have scored just eight times in 10 travels. A cagey affair is on the cards and the Under 2.5 Goals market should be backed at 11/20. Fiorentina fell to a 3-1 defeat at Sampdoria last time out and will be looking to bounce back to winning ways. Hellas Verona have been horrendous in recent weeks with four consecutive losses, scoring only once and conceding 12 times. The Viola won the reverse tie 5-0 and will be confident of ousting Hellas Verona once more. Get on the home win. AC Milan seem to be on the up after claiming a 2-1 win at Cagliari last weekend, making it back-to-back wins for the Rossoneri. Lazio have been just as impressive if not better in recent weeks - at the time of writing - and will be desperate to maintain that form in the hope of Champions League football next term. With both sides firing on all cylinders, an open, attacking game of football is expected. Both Teams to Score can be found at 6/10. Roma and Sampdoria will be locking horns for the second time in the space of a few days. They have a catch-up game which will be played on Wednesday the 24th of January so it’s a bit of a tough one to call. We can’t really work too much on form and stats but the last six meetings between the sides have seen a minimum of three goals scored a game. Get on the Over 2.5 Goals market at 5/10.